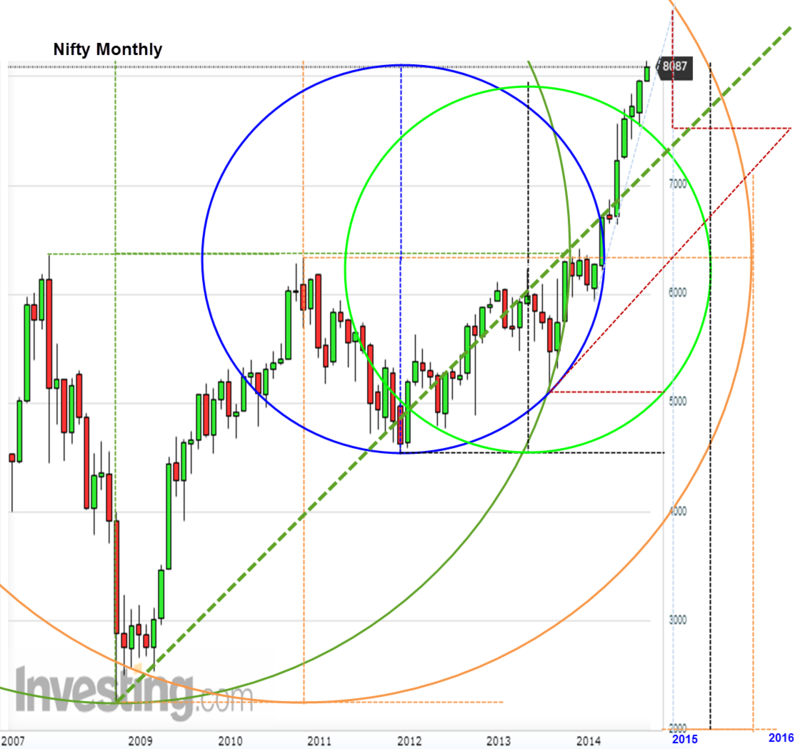 Nifty continues with its positive to sideways movement in the week gone by. 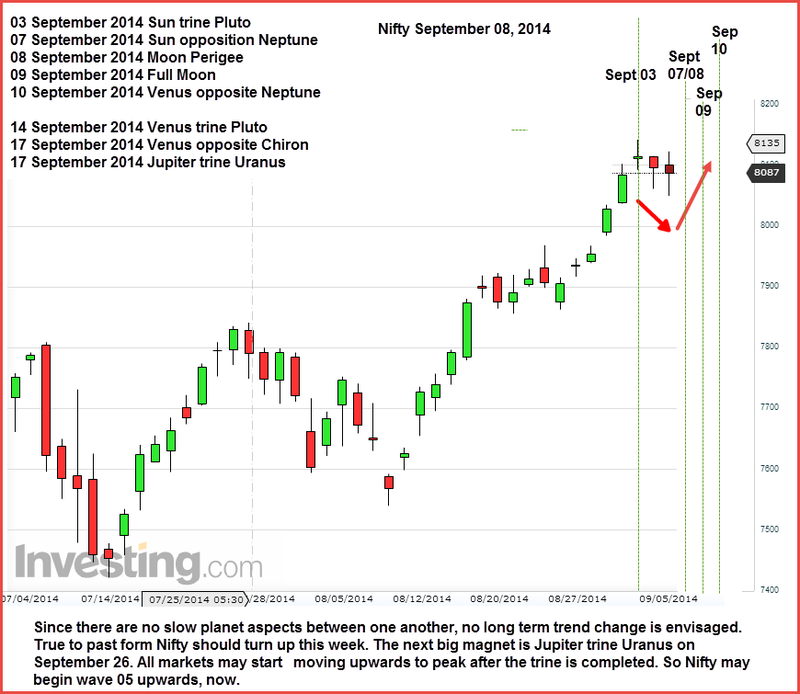 Full Moon on September 09th, could see a temporary bottom..
November 2010 top is getting squared with time and price, only in October/November of 2014. 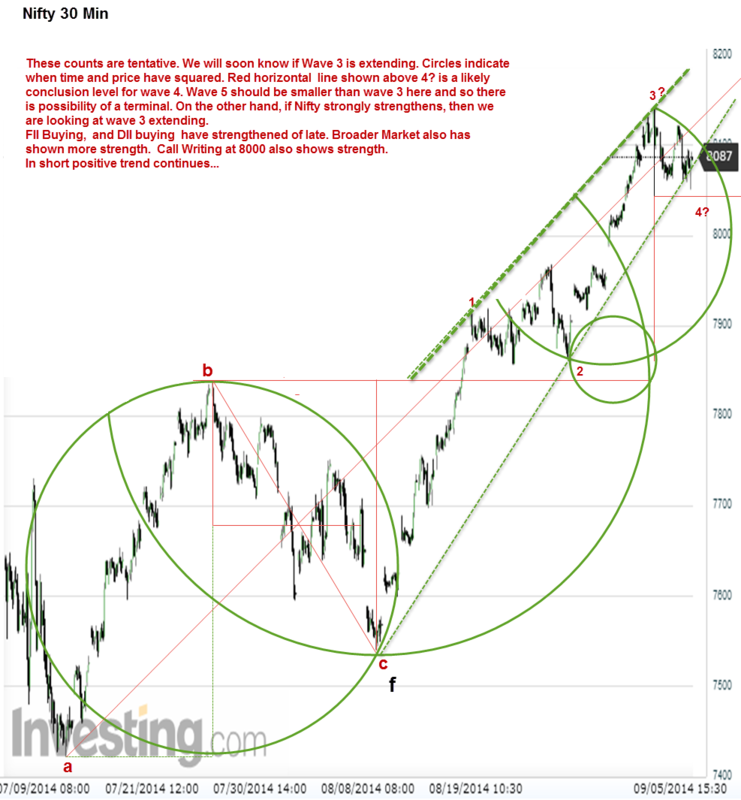 This means the trend change for long term can be expected only then.